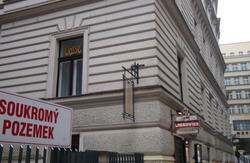 Equity Point Prague is in a brand new refurbished building in the heart of the old town. 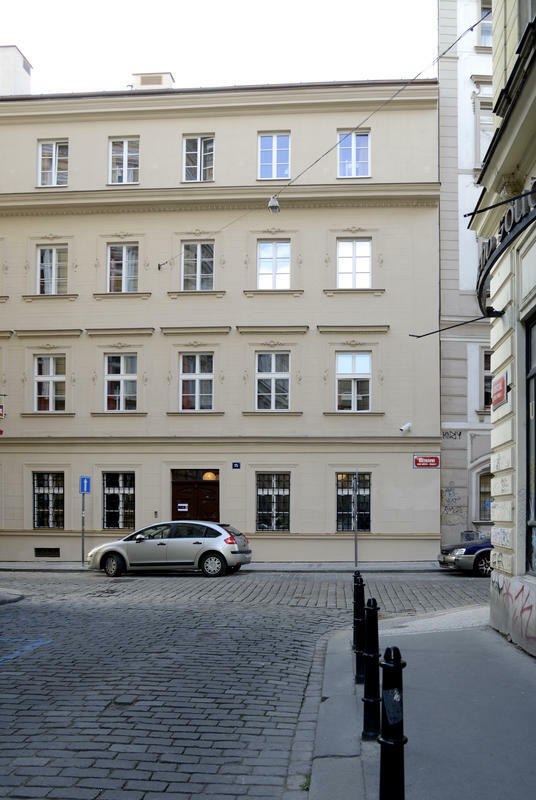 The building is located in Ostrovni Street, a few steps away from Slavia cafÃ© and at barely 5 minutes walking from the KarlÃºv Most (Charles Bridge) and 10 minutes walking from the main Square with the famous clock. The building has been renovated to reach Equity Pointâ€™s quality standards. Wooden floors, granite staircases, modern bathrooms with colored tiles and double window panes to keep the building warm in winter. The building is fully adapted to disabled. 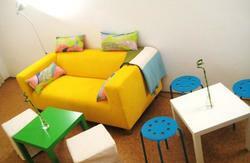 Two rooms are fully adapted and there is an elevator suitable for wheelchairs. The faÃ§ade is very wide and the interior courtyard is also very big which allows all 26 rooms to have natural light all day long. The room has a very spacious reception and welcoming area that will serve drinks and coffees at all times. Next to the reception there is a big luggage room where clients will be able to store their luggage in case their flight is late in the afternoon. Weâ€™ve paid special attention to the lounge area. We wanted it to be cozy and comfortable; this is why weâ€™ve built a huge sofa with a local manufacturer that will allow our clients to watch movies or sports events in a very comfortable way. There will also be a kitchen available for guests in case our clients feel so comfortable at our Hostel that donâ€™t want to go out for lunch or dinner. One of the most beautiful parts of the building is the basement. It is the typical â€œcaveâ€ with stone walls. Weâ€™ve thought that it could be a really cool chill out area to listen to music or watch TV. Bus 119 leaves from outside the Arrivals terminal and runs from around 4.15 in the morning until around 0.10 at night. It will take you to the Dejvick metro station, which is the last stop. From there, you can take the metro using the same ticket to continue to your destination. The metro will get you to the center in no time, M?stek is the metro stop closest to our hostel. It is 4 stops from when you get on at Dejvicka. If you exit from Mustek B, turn left and continue up Jungmannovo nm until Narodni street. Continue down Narodni past the Tesco (which will be on your left hand side) and turn left, continue down Spalena until you come to Ostrovni (which is the first street on the right) and we are number 15. From 'Hlavni Nadrazi' train station, or 'Holesovice' train station, or 'Florenc' bus station: From there you go straight by metro red line C to 'Florenc' and then change to yellow line B to 'Mustek'. When you exit from Mustek B , turn left and continue up Jungmannovo nm until Narodni street. Continue down Narodni past the Tesco (which will be on your left hand side) and turn left, continue down Spalena until you come to Ostrovni (which is the first street on the right) and we are number 15.